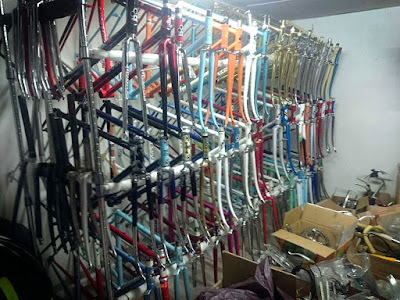 More than 600 track and road bikes, more photos and the story here. It's fun looking through all the photos and trying to identify all the brands, how the bikes are built up, etc. It's amazing. ​For the last 20 years Santini Maglificio Sportivo, this year celebrating its fiftieth anniversary, has developed the jerseys for the Giro d’Italia, guaranteeing that all the apparel of the Corsa Rosa continues to have a true Italian soul. This year the jerseys were designed by Lebole, a menswear fashion brand synonymous with elegance and Italian style, whilst being produced by Santini. This year sponsorship of the four classification jerseys are as follows - the Pink Jersey, distinguishing the overall leader, is sponsored Balocco; the Blue Jersey, denoting the leader of the mountains classification is sponsored by Banca Mediolanum; the Red Jersey denoting the leader of the points classification is sponsored by Algida and the White Jersey reserved for the best young rider under 25 is sponsored Eurospin. Aside from all four classification jerseys, Santini has created a special capsule collection of jerseys dedicated the Giro d’Italia. This collection features one very special garment: the legendary Maglia Nera - Black Jersey. There was a time in the history of the Giro d’Italia when the competition to finish first was not the only prize on offer. The honor and glory justly reserved for the race winner was at one point curiously also handed out to the race loser. 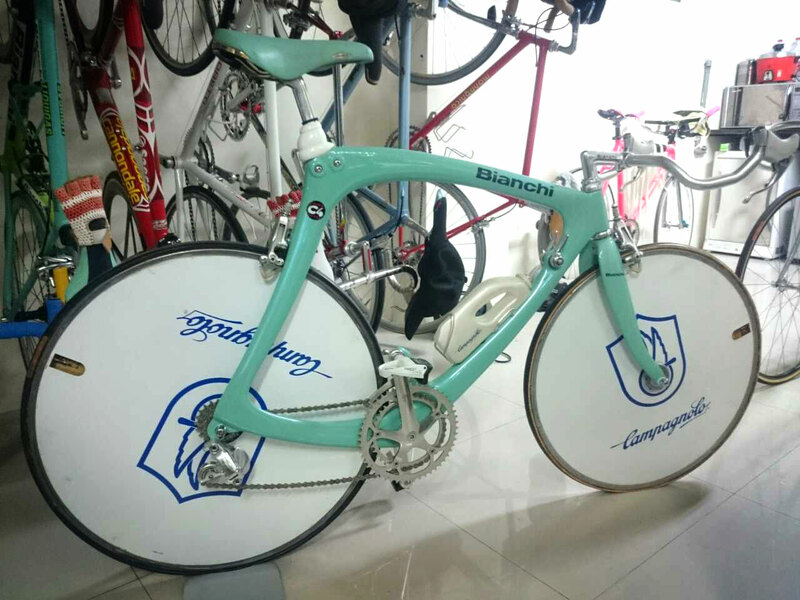 The rider who obtained this “reverse” result was granted the honor of wearing the Black Jersey; an award that was instituted in 1946 and continued until 1951 (Giovanni Pinarello won it in 1951). Within its short lived existence the race for the Black Jersey provided countless surprising and often charming strategies to obtain this prize. It was commonplace for riders to fake punctures, contrive mechanical problems and employ various other underhanded strategies designed to enable them to cross the finish line last. The blurred line between truth and legend doesn’t matter, what is certain is that the Maglia Nera will always remain a true symbol of cycling history. 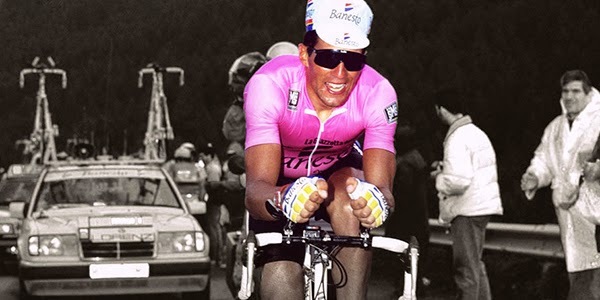 An era that Santini wanted to honor by creating a version of the Black Jersey for all fans of cycling. In addition to the legendary Black Jersey Santini wanted to include in its new capsule collection a series of jerseys that paid homage to specific stages of the 2015 Giro d’Italia; basing the designs of these four unique garments around the history and landscapes associated with these special stages of the 2015 race. In the first stage from LORENZO AL MARE to SANREMO, riders will be faced with a very challenging team time trial - running along 17.6 km of beautiful Ligurian coastline from San Lorenzo al Mare to San Remo. As such Santini has devoted a jersey specifically to this stage, referencing the colors of the sea while celebrating the unique and inimitable Italian Riviera. The first uphill finish of the 2015 Giro, stage five from LA SPEZIA to ABETONE, will see the athletes tackling 17.3km of climbing, the last part of which will see them face a finish into town of Abetone, sitting at a height of 928 meters above sea level. The jersey commemorating the finish into Abetone not only references the beautiful mountain landscape but also notes the town’s relationship to Giacomo Puccini, the famous Italian composer who in 1903 whilst living in the area wrote a large portion of his masterpiece Madame Butterfly; referenced on the jersey by the red butterfly and subtle tree pattern. The third jersey celebrates the return after 23 years of a Giro stage into Imola, centred on the truly prestigious venue of the Autodromo Ferrari. Stage ​eleven from FORLÌ to IMOLA will not be easy; before entering the velodrome the riders will have to negotiate the same roads as used for the 1968 World Championships won by Vittorio Adorni. The flame red jersey that celebrates this stage exudes references to true Italian style and speed, perfectly capturing the essence of the Giro d’Italia. Finally, the fourth jersey, is dedicated to stage ​fourteen, TREVISO to VALDOBBIADENE - the punishing individual time trial that covers 59.2km in total. The setting of this stage will leave you breathless. A combination of flat and hilly sections that wind through the vineyards of the beloved Prosecco landscape; a true symbol of Italian identity worthy of being celebrated. Therefore, the jersey dedicated to this stage plays on the colors associated with a bottle of Prosecco. 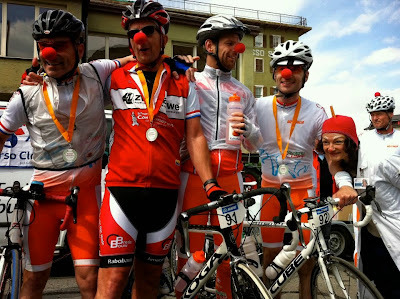 Valtellina Extreme Brevet 2014 Slideshow from KY on Vimeo. 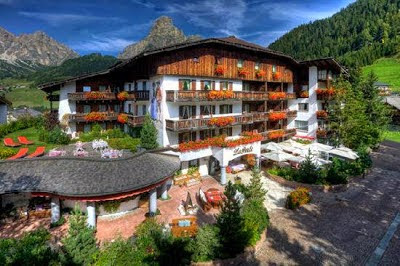 As part of inGamba's partnership with Pinarello and Hotel La Perla, inGamba is offering an exclusive opportunity to ride with Miguel Indurain this summer June 22-26, surrounded by the splendor of the Dolomites. You can find out more about this unforgettable experience here. 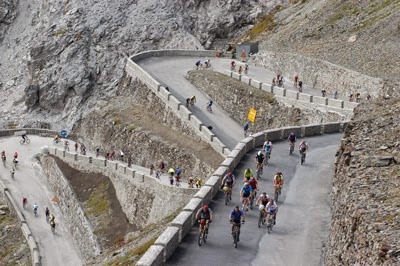 The 98th Giro d’Italia, organized by RCS Sport/La Gazzetta dello Sport, begins on Saturday, 9 May and lasts until 31 May, 2015. The philosophy behind the race route is balance, in line with recent years, with fewer transfers and an approach geared up for modern cycling. In summary: 1 team time trial, 1 individual time trial, 5 high mountain stages, 7 flatter stages and 7 medium mountain stages. Tthe 2015 Giro starts near Sanremo in Riviera dei Fiori (Liguria) and finishes in Milan. The Giro will be televised around the world in 171 countries. Long-standing host broadcaster Rai (Radio Televisione Italiana) will dedicate many hours of airtime to the Giro d’Italia, starting with three hours of live programming for every stage. Rai’s live coverage will be in three parts: “Anteprima Giro” on RaiSport Uno from 14:00 to 15:10 CEST, “Giro in Diretta” on RaiTre and Rai HD between 15:10 and 16:15, and, for the final hour of racing, “Giro all’arrivo” until 17:10. 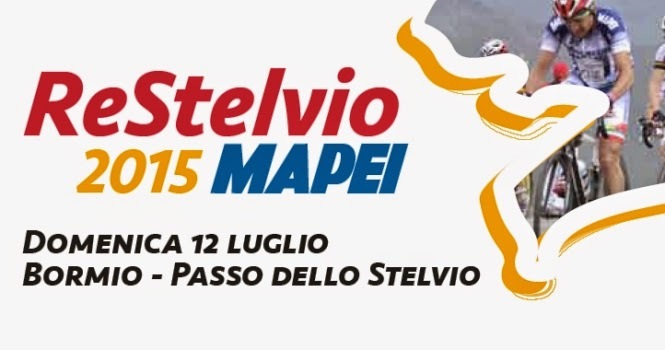 Post-stage commentary and analysis follows in the traditional “Processo alla Tappa,” finishing at 18:00. 90 minutes of edited highlights from each stage will be shown at 22:45 on RaiSport Due, at 06:00 hours the following morning on RaiSport Uno and again at 08:00 on RaiSport Due. 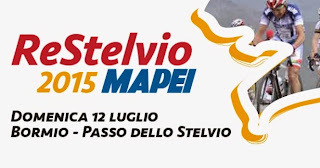 Most days, Rai’s coverage of the forthcoming stage will start with “Giro Mattina”, an hour and a half of live programming from the start village which includes a feature portraying the places of touristic and cultural interest along the race route of the day, and the stage start. Finally, RaiSport Uno will end the day with two programmes: “TGiro” at 20:00 and “Giro Notte” at 00:30 hours. In addition, the Corsa Rosa will be streamed live via the internet at www.rai.tv. The Giro d’Italia will be shown live in 52 territories throughout Europe, Italy included, starting at 14.15 (all times CEST), with live links, on-site interviews and race commentary in 19 languages. In the Old World, the race will also be shown subscription-free in Belgium on the Flemish language channel VRT, in Denmark on TV2, in Spain on TVE, in Switzerland via SRG SSR, in the Netherlands on NOS. Televisa Deportes Network will show the Giro d’Italia in Mexico and five other Central American nations. ESPN Sur will serve Spanish-speaking South America, working in tandem with its sister channel ESPN Brasil. Canada will be served in English by Sportsnet and in French by RDS. beIN SPORTS has exclusive TV rights to the Giro d’Italia in France, the United States of America, and the Middle East and North Africa, with SuperSport serving fans in Sub-Saharan Africa. In Asia, Eurosport Asia-Pacific will broadcast the Giro d’Italia in 16 territories. J Sports will serve Japan, LeTV will cover the Corsa Rosa in China, while SonyTV will show race highlights in India and seven other nations. TrueVisions will show the race in Thailand and FPT Telecom will do the same in Vietnam. The Australian public service broadcaster SBS will broadcast all 21 stages live. Fox Sports will show highlights in Australia, while Sky New Zealand will broadcast the race live for viewers on the other side of the Tasman Sea. News footage of the Corsa Rosa will be distributed by SNTV (Sports News Television) and Sport24, the 24-hour sports channel for aircraft and cruise ship passengers. RCS Sport and the Velon group of WorldTour teams today announced an agreement according to which Velon will deliver on-bike footage at this year's Giro d’Italia. Footage will be recorded for RCS Sport in eight of the Giro d’Italia’s 21 stages: the team time trial on stage 1, stage 2, a possible sprint finish, the hill stages 4, 9, 12, and 15, and the mountain stages 16 - the Queen Stage, with the forbidding Mortirolo - and 20, with the spectacular Colle delle Finestre. Velon consists of roughly two thirds of the 17 WorldTour teams. All 11 member teams will be at the Giro d’Italia: BMC Racing Team, Etixx - Quick-Step, Lampre - Merida, Lotto Soudal, Orica GreenEDGE, Team Cannondale - Garmin, Team Giant - Alpecin, Team Lotto NL - Jumbo, Team Sky, Tinkoff - Saxo and Trek Factory Racing. The teams carrying cameras on each stage will be announced throughout the race. The agreement allows on-board camera footage to be shown during Giro d'Italia TV coverage and on the event website, digital media sites and social media profiles. The Velon teams may show race highlights on their websites and digital media channels, with images also appearing on the organisation website velon.cc. 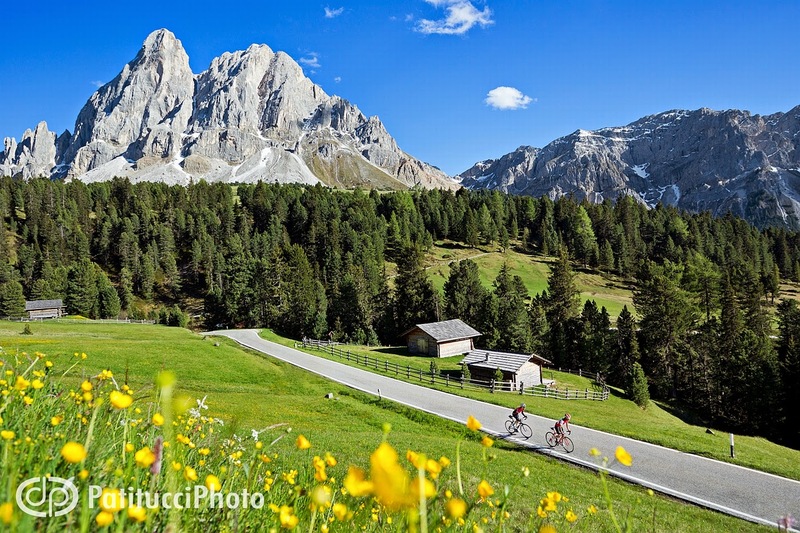 For the first time, during Börz-Plose Bike Day, the beautiful Passo delle Erbe will be open to cyclists car-free. This is a non-competitive event. "Börz"» is the original Ladin name for Passo delle Erbe, which is located at the foot of Mount Putia with its magnificent view. The different access roads to it from Antermoia in Badia valley, Luson, S. Pietro in Funes valley and S. Andrea create a perfectly round circuit. The most challenging climb starts in Luson towards Passo delle Erbe with a height difference of 1.023 m in 14 km and a maximum gradient of 15 %. The roads will be closed to all motorized vehicles for 61.8 km between 9.30 am and 3.00 pm. Everyone is invited to take part in this cycling event and is free to choose where and when to start. The only suggestion is to cycle possibly clockwise. Forte Village Resort, the pearl of southern Sardinia. Mario Cipollini one of the best sprinters ever. What do they have in common? 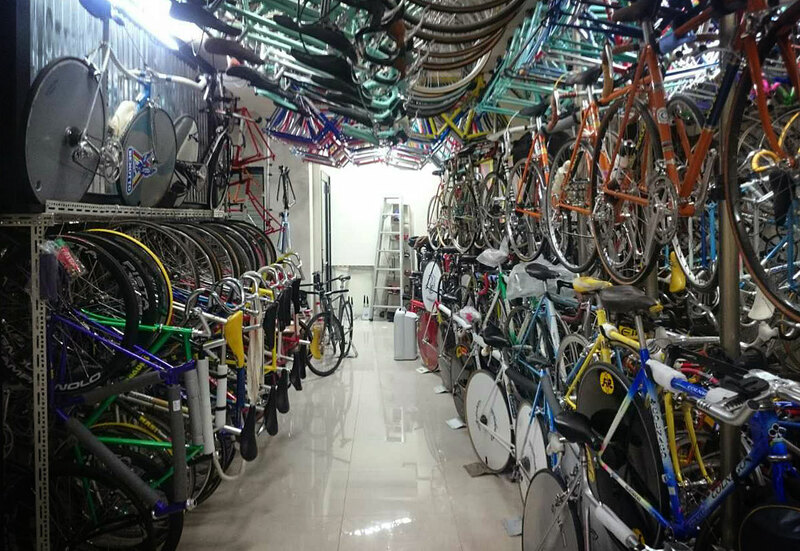 A combination that will be successful, two appointments not to be missed for those who love cycling: the Forte Village Bike Academy by Mario Cipollini. From 13th to 19th and from 20th to 26th June, participants will be guided by the champion in the best methodologies of training, nutrition and technique. It will also be possible to rent a MCipollini bike. Since I happen to own a Max Lelli "Team" bike (great bike btw) I should mention that Max will also have a camp there September 20 to 23 and September 24 to 29. Registration and contact information here.